Not much bonhomie. APEC leaders were caught in the crossfire between China and the United States. Vietnam faces opportunities and dangers as the confrontation between China and the United States in the western Pacific becomes ever more explicit. 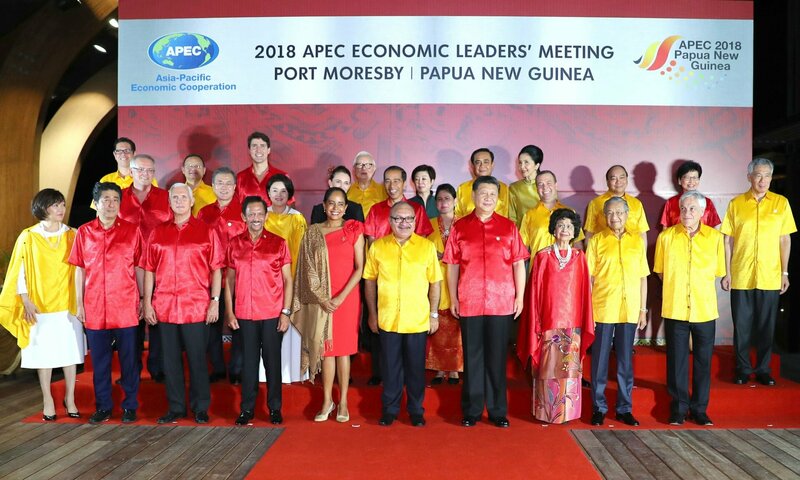 APEC countries failed to deliver a final communique, for the first time in the organisation’s history, at their weekend summit in Papua New Guinea where China and the United States openly clashed on trade and security. Economists say Vietnam could benefit from the escalating trade war between Beijing and Washington, but also faces the danger of a protectionist backlash from the US. It can also take heart from the Trump administration’s heated rhetoric on China’s expansionism in the South China Sea, while at the same time fearing too much pressure could lead to conflict. The American Vice-President, Mike Pence, who attended the summit in place of President Trump, said that the US would not lift its punitive tariffs on Chinese goods until China changed its ways. He denounced President Xi Jinping’s Belt and Road Initiative as a potential debt trap and a threat to the sovereignty of nations across the Pacific and Indian oceans. And in the administration’s most inflammatory comments so far on the South China Sea, he said the region was no place for “empire and aggression” and said the sea did not belong to any one nation. The United States has steered clear of involvement in the territorial disputes between China, Vietnam, the Philippines, Malaysia and others over the atolls, islets and reefs of the Spratly and Paracel chains. The US has restricted itself to assertions of free navigation and the dispatching of warships to signal its determination to uphold the principle. But its increasingly open denouncement of China’s ambitions in the region makes the ongoing confrontation ever more explicit and potentially dangerous. 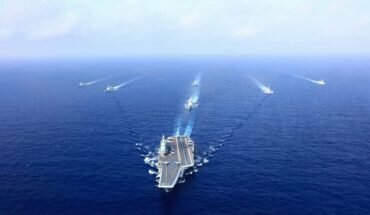 Vietnam welcomes US involvement in the region and the presence of the US navy as the only way to balance China’s fast growing military power in the disputed waters. However, the prospect of new cold war in Asia and the possibility of an armed clash between the two superpowers could leave it dangerously exposed. 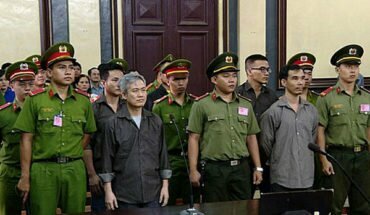 Vietnam’s attempt to tread a delicate diplomatic path between China and the United States requires ever more skill and fine judgement. The rupture at the APEC summit came as China objected to US efforts to denounce “unfair trade practices”. Hopes that the trade war initiated by President Trump would quickly blow over are fast fading. Vietnam has seen early benefits, with Chinese companies looking to offshore manufacturing to its southern neighbour, and other countries increasingly seeing Vietnam’s appeal as a low cost manufacturing base with good access to the world’s leading markets. However, President Trump also has his eye on the US’s $35 billion trade deficit with Vietnam and could take action to reduce it. Trade however is increasingly linked with security as the battle lines are drawn in the western Pacific. 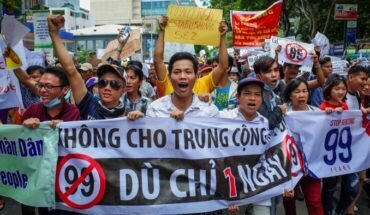 Hanoi’s best hope of appeasing Washington on trade is to show its worth as a valuable strategic partner determined to resist Chinese expansion.